Being diagnosed with cancer is a frightening experience. For many, it is often the first time we consider our own mortality with anything more than a fleeting thought. What do you do when you learn that the organs and tissue in your body that are supposed to keep you healthy have declared anarchy and are plotting against you? The traditional treatment options offered to cancer patients – chemotherapy, surgery, and radiation – can be debilitating and excruciatingly painful, leaving patients to wonder if they would have been better off dying from the cancer instead of living with the treatment. And, patients are often expected to put their lives on hold, or worse – say goodbye, while they are battling against their own bodies. While alternative treatments are available, most traditional doctors are unfamiliar with them and fail to share non-conventional treatment options with their patients. In reading Rhio O’Connor’s story, I was inspired by his perseverance in learning about his illness and his insistence in being involved in making decisions about his medical care. O’Connor was diagnosed with mesothelioma, a form of cancer in which the protective membrane that surrounds organs develops abnormal cells that divide rapidly and damage the organs. 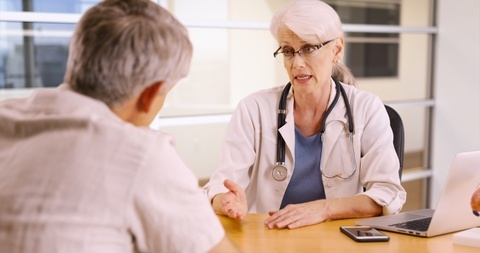 It seems unreasonable to undergo conventional treatment when evidence suggests that conventional treatment does not produce high success rates for mesothelioma, though this is the course of treatment doctors most often use to treat the illness. And in some cases, like O’Connor’s, conventional treatment isn’t an option due to the location of the cancer. Few doctors look outside “the box” for alternative treatments that may be more effective than what traditional protocol. It is important for cancer patients to understand their illness and to be informed of all of the possible treatment alternatives and the risks associated with any type of treatment. Like Rhio O’ Connor, I am also a cancer survivor. I was diagnosed with synovial sarcoma in my early 20s. I still remember sitting in the doctor’s office saying, “I have cancer,” trying to grasp the reality of my situation but feeling like the words must be coming out of someone else’s mouth. My doctor wanted to start treatment quickly and created a care plan that involved very little input from me. But, considering that it was my body and my life that was being affected, I felt that I needed to be more involved. What do you do when you are told that the best way to care for your body is to inflict violence upon it and flood it with poisons? I found it difficult to believe that this was the best possible treatment option. I insisted upon delaying treatment for several weeks so that I could better understand what was happening and decide upon the course of treatment that would be best for me. It was only after spending countless hours at the library, researching online, meeting with doctors at specialized cancer treatment centers, and talking to family and friends that I made my decision about treatment. I agreed to undergo chemotherapy and surgery but I set guidelines for myself prior to beginning treatment about how I would live through this experience. Sometimes, in the midst of trying to survive chaos, we lose sight of the goal. And my goal – what I was fighting for – was the chance to keep living. I knew what side effects to expect, based on my research, and I was determined to live my life as normally as possible despite my circumstances. I decided that my life would not be reduced to white cell counts, hospital rooms, and goodbyes “just in case I didn’t make it.” While living with cancer, I attended weddings, saw new life brought into this world, went to school plays, and said goodbye to a dear friend who lost her own battle with cancer. Life went on around me even when I felt my own life would end. But, with my pallid complexion and bald head, I struggled to keep up with the world. My story is a story of hope and survival. I am now seven years in remission. While I still have battle scars and am a little worse for wear, my body has healed remarkably well following my treatment experience. And my spirit has grown stronger in the process. I believe that all cancer patients, even those like Rhio O’Connor whose lives are taken, are survivors. Living with cancer means living with the unknown. It means getting out of bed each morning not knowing what is going to happen. Living one day beyond a cancer diagnosis makes you a survivor. And, each day that you get to live is a day for hope, a day to love, and a day to explore new possibilities.